Luminous skin is always in. Glowy skin gives off a more youthful healthy-skin vibe, makes any make-up you apply look better and also probably means that you don’t have to wear as much (bub-bye heavy foundation!). In the past (umm 2009! ), I’ve tried Benefit’s High Beam and Moon Beam, a couple of the original highlighting products out there. I had limited success though, finding them too streaky and not easy to blend, so I shied away from their luminizers for a while. 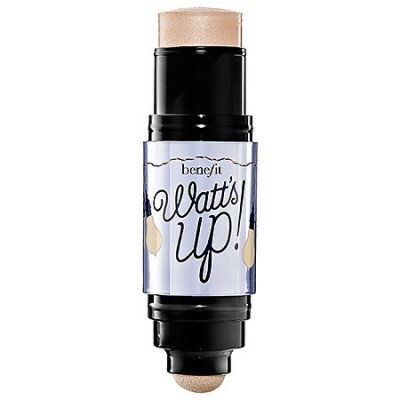 Thankfully, I was recently reintroduced to Benefit’s Watt’s Up from the good people at Benefit Canada, and this product has quickly shot to the top of my fave luminizers list. Watt’s Up is highlighting magic in a stick! The consistency is potent (mega-watt if you will) and all without being overly sparkly (which means it’s friendly across multiple age brackets too). The stick is dual-sided with a smooth cream-to-powder formula on one end and a built-in sponge for blending on the other. You can literally just press this atop the cheekbones, blend with the sponge end (or your fingers) and you’re set! Super user-friendly. Yep, that’s Watt’s Up (… all the way up at the top of my list!). Now this stuff is fancy and sparkly. A little, and I’m talking a dot, of NARS Copacabana goes a looong way and can be enough to highlight all the usual suspects – your cheeks, the inner corners of the eyes, underneath the brows AND the Cupid’s bow of your lips. 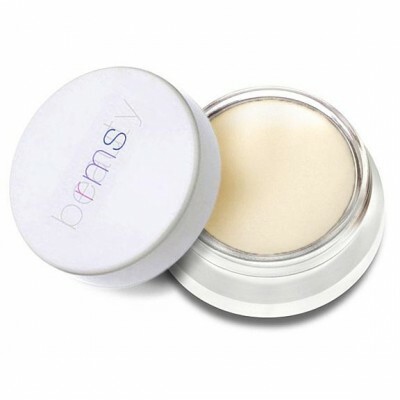 The creamy formula is easy to blend and work with before it sets to a brilliant glam shine. I find if you use too much of it though, the shimmer factor can quickly give off more of a ‘wet’ look. That kind of intensity is a bit much for day-to-day wear for me, but I love it on photoshoots, as it works beautifully with studio lighting and really exaggerates the highlight on a model’s skin. The pearl colouring of Copacabana runs on the cool side (reminds me a lot of Benefit’s High Beam but with a way easier to blend texture). Depending on the look you’re going for, it can work more subtly on fair skin with cooler undertones while really popping on skin tones with warmer undertones (hence why it looks more intense on my own skin tone). 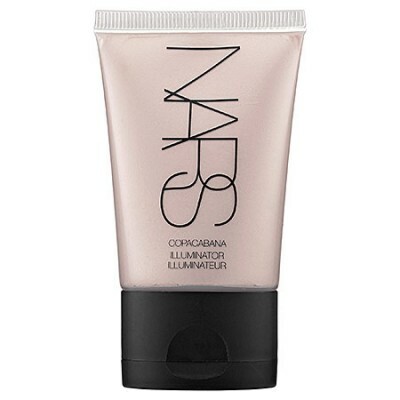 NARS also offers their Laguna Illuminator, a warm-toned bronze luminizer, which works beautifully as a highlight on dark skin tones but I find looks too dark and painted-on for medium skin tones like my own. Overall with its brilliant finish, Copacabana is a great option for a night out when you want a stand-out shimmer. Wallflowers need not apply. 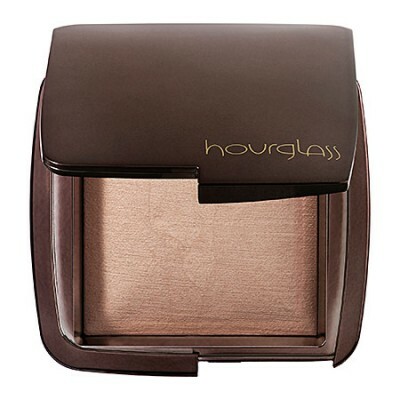 Hourglass Ambient Lighting Powders are easy to apply and blend beautifully. They were developed with “photoluminescent technology” that help to diffuse light and minimize the appearance of imperfections on the face (..and who doesn’t want that?!). 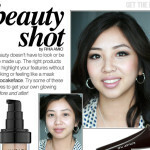 It’s suggested that you can apply this all over, and for day-to-day you definitely can, as the shimmer finish is subtle. But when it comes to taking professional photos and seeing this stuff in HD – I’d avoid using this powder particularly on the T-zone, as the light-diffusing can border looking way too shiny/greasy. Personally, I’d rather use a regular non-shimmer powder on my T-zone anyway, as I lean towards the normal-oily side (my T-zone has a mind of its own!). These are also a great highlighting option for mature skin which often leans on the dry side and would benefit greatly from luminizers, but where typical cream luminizers are too sparkly and can draw negative attention to fine lines. If you’re new to highlighting or prefer some shimmer without being overdone, Hourglass powders are a good place to start with their subtle finish. RMS Living Luminizer is a simply gorgeous luminizer. 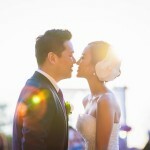 The finish is not sparkly and not shimmery, but just leaves the skin with a glowy sheen that makes your skin look alive. What I absolutely love is how its creamy formula is so easy to blend. 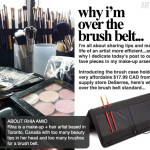 You can easily apply it after your foundation and your blush and because it’s more of a sheer texture, I find I don’t have to worry that blending it in will disturb the rest of the make-up I’ve already carefully applied. Yep, thumbs way up! 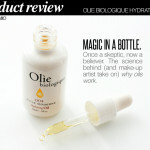 What’s more is that it’s derived from natural ingredients so it’s better for your skin than the usual synthetic make-up. I love this as my daily luminizer and wear it under my foundation when I want a more subtle highlight, but on top of my foundation and blush for a more intense effect. I love that it never looks overdone, but just like believable radiant skin. Tons of comment-compliments with this one! The quickest and easiest way to add some luminosity back to skin after a full foundation and powder routine is with a water and/or mineral spray. 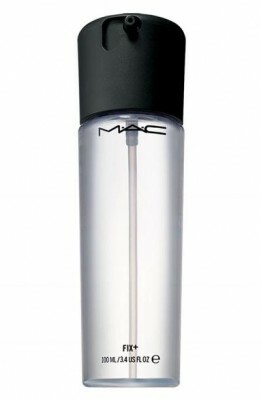 A couple of spritzes of MAC Fix+ and your make-up looks more ‘lived-in’, more like your own skin. Fix+ also works great across all skin types. For dry skin, it adds instant hydration – you can even spritz your skin before moisturizer (so that it absorbs the moisturizer better) and throughout the day to freshen your glow. This is also a great alternative for those with oily skin that want that radiant effect: a couple of sprays of Fix+ adds a glow whereas other typical highlighting products can quickly end up looking too greasy on oily skin. One last thing I love about this stuff is the cucumber/green tea (I think that’s the combo!) scent to it – it just feels relaxing and hydrating, like going to a spa in a bottle…and we all glow after a little spa treatment, right?! So no more excuses, no more flat matte skin. Cheers to getting your glow on!